This is the place where students can find resources to help them navigate the world of speech and debate, or forensics. There are resources for Interpers, Public Addressers, and Debaters, plus things that are applicable to all of the above. If you have a question, or a need that we don't seem to fill, please contact us and let us know! We want to have as diverse and worthwhile a resource as possible. We also appreciate any support in terms of donations and even subscribers! This is a low down of what forensics is, what to expect at your first tournament, how to dress, what to prepare, and a few other 'good-to-know' tid-bits. Forensics is one of those 'life skills' things that will definitely help you, in whichever field you may enter, but here are a few tangible and immediate ways that forensics helps you. Information broken down by event. Forensics, literally means 'the art or study of argumentation and formal debate.' This comes from the Latin word forensis: public; to the forum or public discussion; argumentative, rhetorical, belonging to debate or discussion. 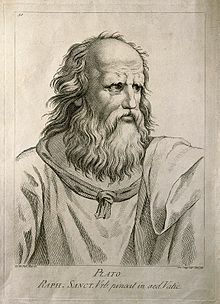 Plato used forensics as the method for seeking truth, through argumentation, discussion, and debate the people of ancient Greece were able to find the truth in a matter. Here are links to pieces, examples, and great sources for speech writing. An (incomplete, as the list is always changing) list of Colleges and Universities with Forensics Programs. Some even list what kinds of Resources those programs offer.